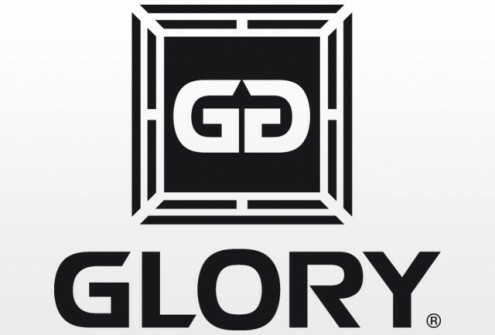 SINGAPORE (April 18, 2013) – GLORY, the world’s premier kickboxing league, today announced the addition of a lightweight (70 kilograms/154 pounds) Superfight between two-time world Muay Thai champion Yoshihiro Sato (50-20, 20 KOs) of Japan and 22-year-old, fast-rising star Sung Hyun Lee (42-5-1, 15 KOs) of Korea to the much-anticipated GLORY 8 Tokyo event at Ariake Coliseum on Friday, May 3. The 32-year-old Sato is a two-time national champion in the old K-1 tournament series, winning back-to-back national championships in Japan in 2006 and 2007, respectively. To date, Sato, also a skilled Karate player, has defeated a host of rival superstars during his stellar, 15-year professional career, including Mike Zambidis, Peter Crooke and Kaoklai Kaennorsing. On July 7, 2008, Sato avenged two previous defeats at the hands of pound-for-pound sensation Buakaw Por Pramuk, crumbling the Thai champion in the third round of their matchup with a right hook. Known for his speed and sophisticated combinations, Lee has quickly become a force in Asia. In January, he defeated Japanese nemesis, Yuki, for the second time in his career to earn a championship. In 2012, Lee reeled off a perfect 4-0 record in the ring, earning his first victory over Yuki as well as wins over top contenders Yuto Watanabe and Shohei Asahara. The event will be headlined by a one-night, eight-man, single-elimination tournament in GLORY’s featherweight (64 kilograms/143 pounds) division. In one bracket of the tournament, world Muay Thai champion Mosab “The Jaguar” Amrani (48-7-4, 14 KOs) of Holland will square off with aggressive-minded Marcus Vinicius (7-1, 1 KO) of Brazil and KO artist Liam Harrison (72-15-2, 38 KOs) of England will face Road To GLORY Japan tournament champion Masaaki Noiri (18-3, 7 KOs) of Japan. In GLORY 8 Tokyo Superfight action, all-time great Jerome Le Banner (73-21-2, 59 KOs) of France will face off in a heavyweight rematch with Muay Thai champion Koichi (26-8-1, 15 KOs) of Japan after scoring a third round KO on Koichi in their first meeting, also a Superfight, at GLORY 4 Tokyo on New Year’s Eve. Legendary heavyweight champion Peter Aerts (102-30-1, 77 KOs) of The Netherlands will collide with fast-rising star Jamal Ben Saddik (24-2, 20 KOs) of Belgium. A lightweight Superfight will pit prolific superstars Andy Ristie (36-3-1, 18 KOs) of Suriname and Albert “The Hurricane” Kraus (75-15-3, 45 KOs) of The Netherlands against one another. The event will air on CBS Sports Network in the U.S. on Sunday, May 5 at 2:00 a.m. ET/11:00 p.m. PT. This entry was posted in Events, News & Results and tagged featured, Glory Tokyo, kickboxing, Muay Thai. Bookmark the permalink.